The figures show a significant decrease in the number of candidates compared to the 2013 general elections. 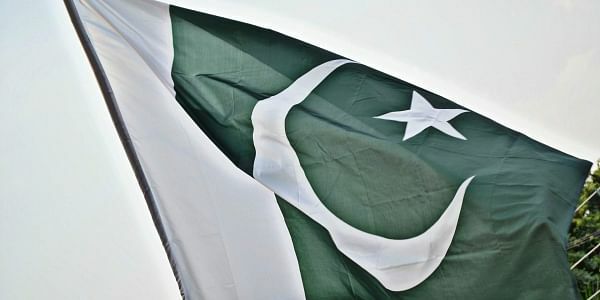 ISLAMABAD: As many as 11,855 candidates are in the fray for 849 general seats of Pakistan's national and provincial assemblies in the July 25 elections after the completion of scrutiny process, the election commission has said. The National Assembly is a democratically elected body consisting of a total of 342 members, of which 272 are directly elected, 60 seats are reserved for women and 10 for religious minorities. The figures show a significant decrease in the number of candidates compared to the 2013 general elections when a total of 15,629 candidates - 4,671 for National Assembly and 10,958 for provincial assemblies - were in the field, the Dawn reported. Interestingly, the leadership of major political parties and other political bigwigs are contesting from more than one constituency in the upcoming elections, it said. Pakistan Muslim League-Nawaz (PML-N) president Shahbaz Sharif will contest from four constituencies of three provinces including NA-132 (Lahore), NA-192 (Dera Ghazi Khan), NA-249 (Karachi) and NA-3 (Swat), the report said. Cricketer-turned-politician and chief of the Pakistan Tehreek-e-Insaf (PTI) Imran Khan has submitted his nomination from five constituencies - NA-35 (Bannu), NA-53 (Islamabad), NA-95 (Mianwali), NA-131 (Lahore) and NA-243 (Karachi). Chairman of the Pakistan Peoples Party (PPP) Bilawal Bhutto-Zardari is contesting on three seats -- one each from Malakand, Lahore and native Larkana. His father, Asif Ali Zardari will contest election from NA-213 (Shaheed Benazirabad). Maulana Fazlur Rahman, chief of the Jamiat Ulema-i-Islam, is contesting from NA-38 and NA-39 seats from Dera Ismail Khan, the report said. Former interior minister Chaudhry Nisar Ali Khan will contest NA-59 and NA-63 seats from Rawalpindi. Jamaat-i-Islami chief Sirajul Haq, who is a sitting senator, will contest NA-7 seat (Lower Dir) and NA-23 (Charsadda). The Awami National Party chief Asfandyar Wali Khan is in the run for NA-24 (Charsadda). Former premier Yusuf Raza Gilani will contest NA-158 (Multan) seat, while his sons Ali Moosa Gilani and Ali Qadir Gilani are in the fray for NA-157 and NA-154 seats. Chief of the Pakhtunkhwa Milli Awami Party Mehmood Khan Achakzai is contesting on NA-263 seat, the Dawn reported. This time, a total of 3,459 candidates - 1,623 from Punjab, 824 from Sindh, 725 from Khyber Pakhtunkhwa and 287 from Balochistan - are in the run for the 272 general seats of the National Assembly. According to the ECP data, for general seats of provincial assemblies shows that a total of 4,036 candidates will fight for 297 general seats of the Punjab Assembly; 2,252 candidates will contest 130 general seats of the Sindh Assembly; 1,165 will compete for 99 KP Assembly seats and 943 will vie for 51 general seats of the Balochistan Assembly.